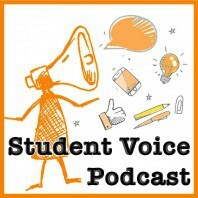 This episode features Naima Raza, a student trustee for the Lambton Kent District School Board in Ontario. Curious from a young age, Naima is committed to exploring, learning, and growth. Her experience as the founder of the Bluewater Sustainability Initiative, an Arabic teacher at the Sarnia Muslim Association, and a Student Trustee for the Lambton Kent District School Board (LKDSB) were formative to her work in community development, social justice, and youth engagement. She recently also completed the MaRS Discovery District’s Studio Y Fellowship in Toronto, as a part of their third cohort. A youth advocate, Naima is currently working as the Student Voice Coordinator for the LKDSB. She believes in doing this work through a collaborative, critical and systems lens. This fall, Naima will be pursuing the Knowledge Integration and Public Policy programs at the University of Waterloo. Recently, Naima was appointed to the position of Director of Strategy for the Student Voice Initiative in Canada and can be reached by emailing naima@studentvoicei.com.